A touch of coffee and pineapple.. The fragrance of coffee is one of those lovely things that belongs to our comfort-zone, really, what would we do without it? I`m gonna write a little series on my favorite flavor combinations and coffee and pineapple is first out. The pairing of flavors is something that i`ve always been interested in and i`m more or less always on the hunt for new flavors to play with. But also old and proven flavor pairings are fun to mix with and good to imbibe and like the classic cocktails always will be there. 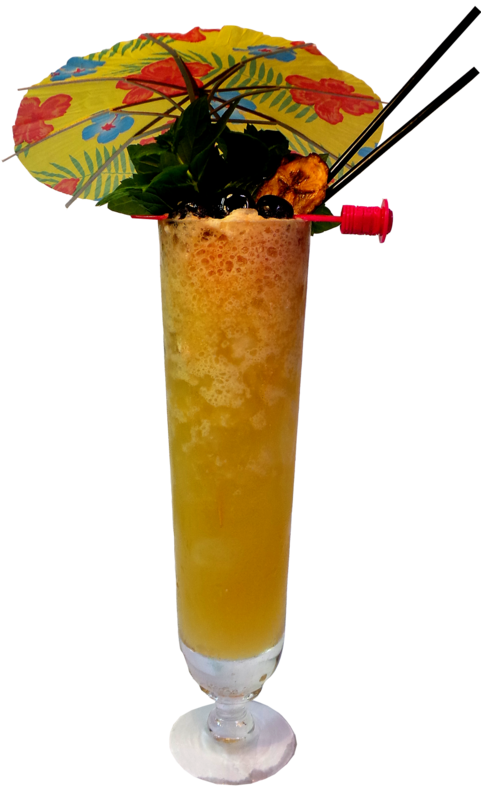 One such flavor combination is coffee and pineapple and especially in the tiki drink world it`s a classic. 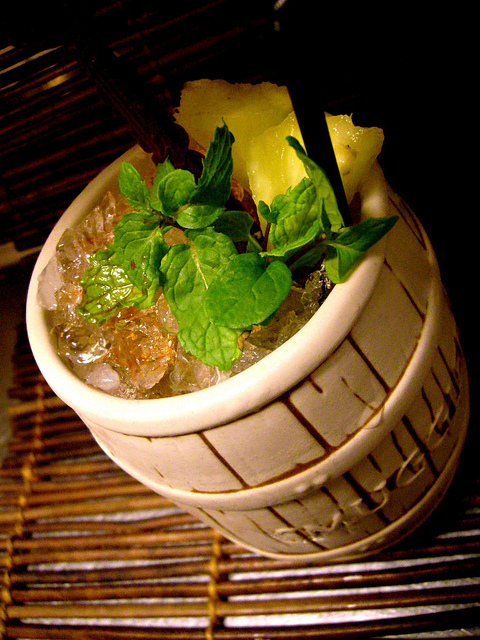 Pineapple goes well with cinnamon too – another tiki classic. But in this post i`ll deal with the coffee. Every coffee lover knows how important it is to choose good quality and flavorful coffee – beans or blends. I have over the years tried many different coffees and i have now settled with 3 types that i think is superior to any other. These 3 coffees are first the coffee from Louisiana (especially Community Coffee) then Kona coffee from Hawaii and finally Jamaican Blue Mountain. These three are more flavorful, strong and fullbodied than any other i have tried from anywhere. The Community Coffee is my house coffee of the three. I recently introduced that coffee to a co-worker and he said i have turned his coffee-world upside down and that he´ll never want another coffee…that´s how good he found it to be and i`m not going to say against that. He did put it above Blue Mountain which is a good coffee.. So good coffee for great cocktails! and coffee in cocktails is a wonderful thing, it creates a contrasting flavor and paired with pineapple is a marriage in heaven. When it comes to flavor pairings a rule of thumb is that the things that grows together in the same climate also goes best together. Now the pineapple – it gotta be FRESH! i like the ones that are not yet fully ripe but still fragrant since they are really fresh and not too sweet. You can check if a pineapple is ripe by tearing off one of the top leaves, it should go off easily and by sniffing on it, it should be very fragrant. The kinda almost-ripe ones i like are lightly fragrant, the leaf goes off but not too easily and they are a bit greenish. Place 5-6 coffee beans in a shaker and crush them but don´t make powder out of it. Add 5-6 chunks of fresh pineapple and muddle with the crushed beans. 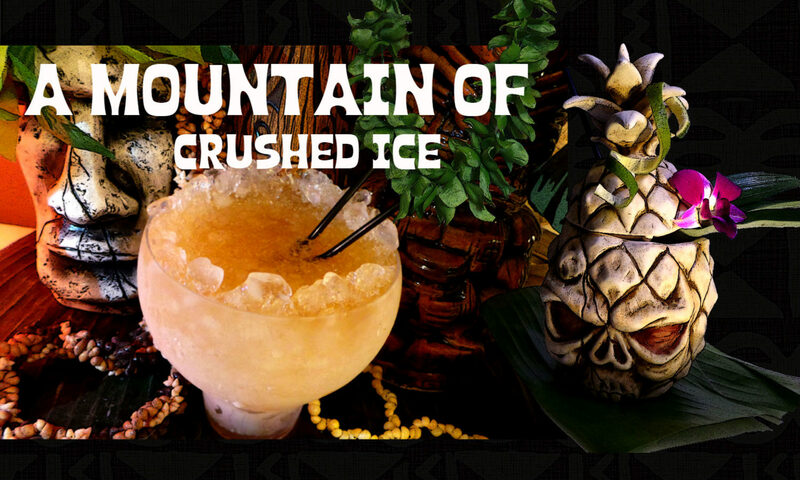 Shake hard with ice and double strain into a tiki mug or chimney glass with crushed ice. If using a large mug like the rum barrel mug you may make a double recipe. 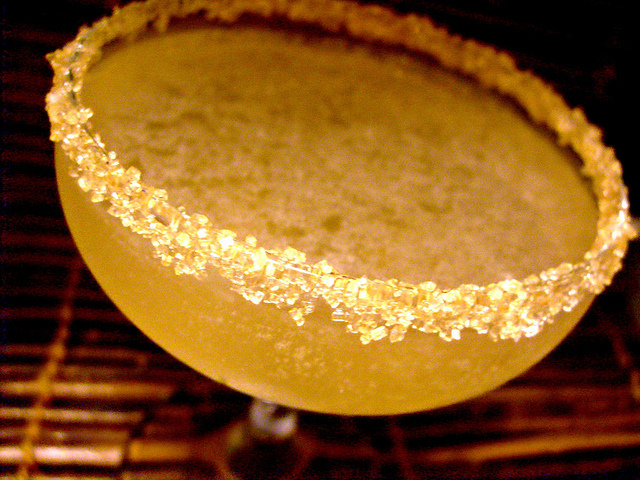 Garnish with a rough golden sugar rim. Rowen – thanks and i hope you`ll enjoy! Tony – yeah you right it surely would fit, i need to try sometimes.Coffee and chocolate and pineapple..yeah! Also i found your blog interesting, i really like travel stories and i have added a link to it on this blog if you don´t mind. As I was reading about the pairing of coffee and pineapple, my mind was wandering to possibly reading “coconut milk” and now I am thinking about adding to your recipe with that addition. And maybe splashing with cocunut rum instead of just rum but that could be a tad heavy handed. 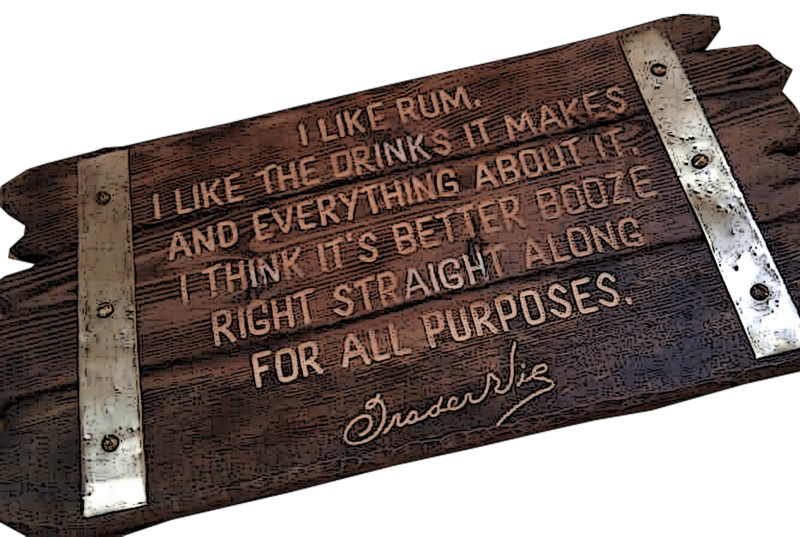 Think I will stick with your rum. Thanks for titillating my tastebuds. I bet the Mozart bitters would fit very well in the coffee barrel too.